Although a website packed with a lot of information can be beneficial, it must be presented in an appropriate way. Spending too much time cramming each website’s page may only decrease the amount of time people stay on the website for. Whitespace is a reference to a part of a page that is unmarked, and when it’s used correctly, it can help give the website an elegant appeal and make people search for your content comfortable, without having it thrown in their face. Unlike the terms suggests, whitespace doesn’t always have to be white, but a lot of the time it is, and Google’s homepage is a great example of using whitespace for impact, partly because it work well with their bold colours for each letter. It must be said that whitespace needs to be used correctly, and if it was utilised too much within a website, it could appear boring, so finding the balance is key. 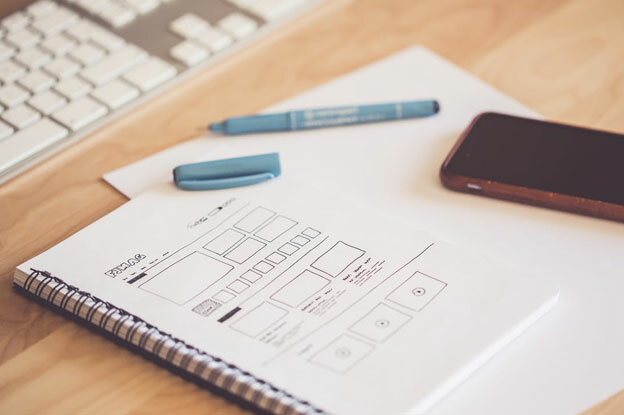 But for amateur web designers, it’s important that you practice using whitespace, because overcrowding a website will soon become problematic, and it can actually make your design look less professional.